Architect Roger Walker said he is stoked with awards for two multi-unit housing projects built more than 40 years apart. At last night’s New Zealand Institute of Architects Welllington Branch awards, Walker Architecture and Design won an award for multi-unit housing for Te Aro Pā Trust Pāpakainga development at Greta Point. 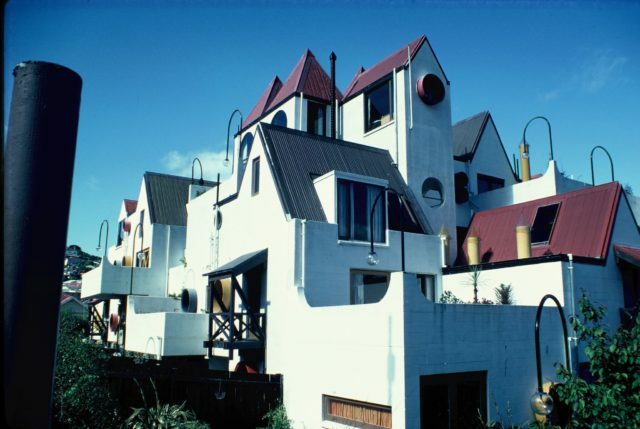 Roger Walker was also awarded an Enduring Architecture award for the iconic Park Mews in Hataitai. “These are both special projects for me. They are quite different to each other but they also have a lot in common in that they both embraced the challenge of providing high quality affordable housing. “They are both efficient uses of land, our most precious asset. Good use of land is an integral part of affordable housing. We can’t create more land, but we can use the land more efficiently without sacrificing the quality of housing,” Walker said. 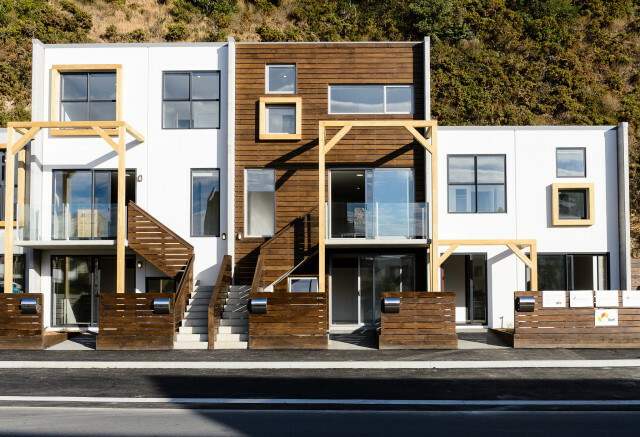 The fourteen unit Te Ara Pā Trust Papakāinga was the first papakāinga development in Wellington and is part of the growing trend for Māori landowners are finding solutions for the housing crisis. “When I designed it I was conscious that the people who lived there would have a whānau connection so it was important to support interaction with shared spaces. “At the same time we needed to ensure modern living standards in terms of insulation and warmth, durability, and privacy. I wanted the homes to be robust and efficient, and to look good. Walker said he was still passionate about creating high quality affordable housing.